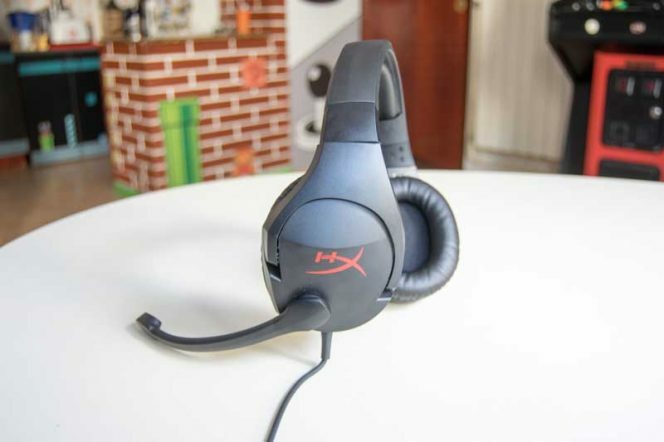 REVIEW: HyperX Cloud Stinger – PLAY! PLAY! HyperX has caused quite a stir in the market of gaming peripherals with their Cloud headsets. However until now we have mostly seen high end headphones intended at the enthusiast market. 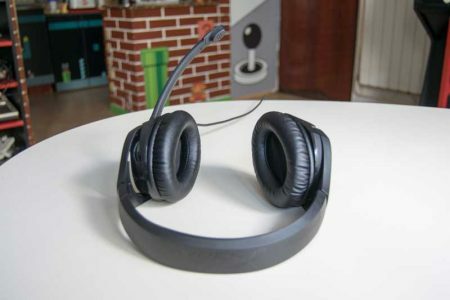 Now we have a chance to take a look at a headset intended for gamers on a budget. We received the Stinger headset as a sample s we got only the headphones themselves and therefore cannot comment on the packaging and other additional features but it is safe to assume that they will be a bit more modest than other Cloud headsets. However the headphones are very interesting and are completely covered in some kind of rubberized plastic. First thing I noticed is that the headset is extremely light which I think is great because it significantly reduces strain during longer periods of gameplay. Searching the official information I found that they only weigh 275 grams. It has a classic headband that can be adjusted to size and has steel structure that is going to give it a good durability. Both the headband and the ear cushions are padded and covered with very fine leather. The cable is also rubberized and ends in a single 3.5mm jack which enables them to be connected to a wide variety of devices from mobile phones to consoles like Wii U, PS4 or an Xbox One (it is certified to work with it although you will need an adapter for the controller). The cable itself is relatively short, only 1.3 meters, which is a good thing when connecting to phones or console controllers but is a bit short if you want to use it with a desktop PC. That is why an extension cable measuring 1.7 meters is included and it ends with separate headphones and microphone 3.5mm jacks on the other end, which is a standard for connecting to desktop PCs. At first I was surprised to find that there are no volume controls on the cable but then I found out that this control is located on the back of the right headphone, a solution I found quite practical during the test. There is also no separate microphone mute button but he mic is muted by swinging it in an upwards position. 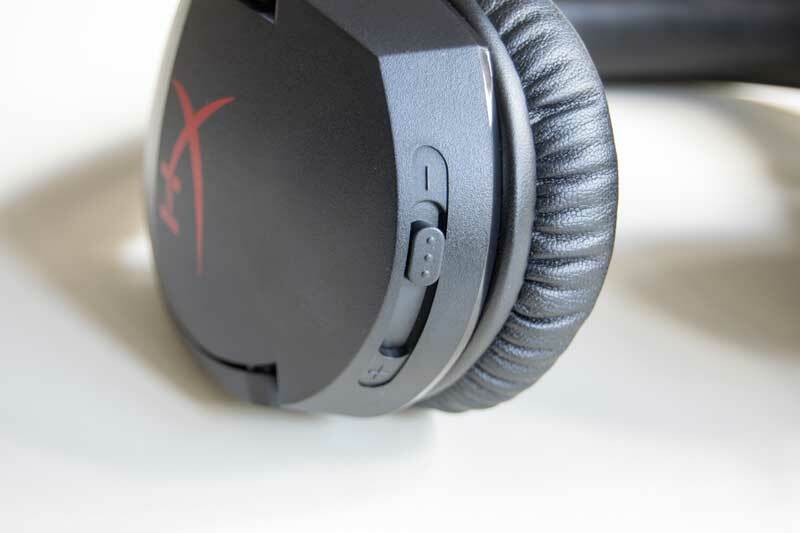 Cloud Stinger have 50mm directional drivers that are that are tilted to position sound directly into the ear and give a better understanding of where the sound is coming from in the game. The sound quality is on par with other Cloud models which is to say it is very good indeed. 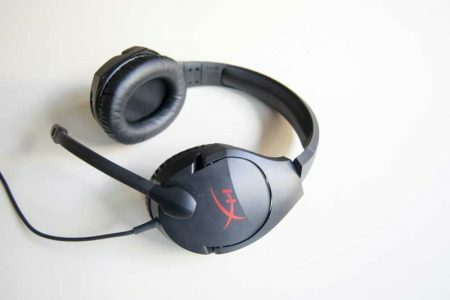 Microphone has noise cancelling and provides decent quality that will enable you to communicate in games clear and easy. 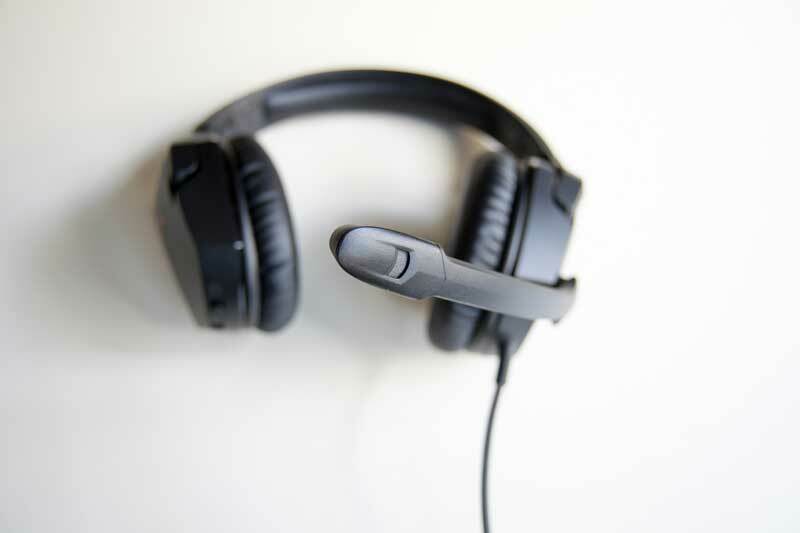 In the end we come to the best thing about this headset – the price point of just $49.99. 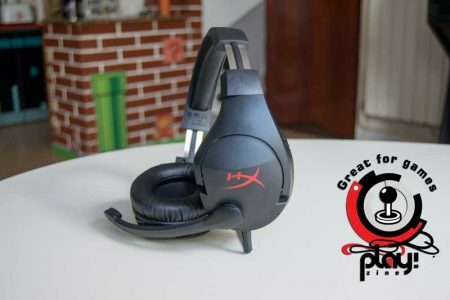 At this price this headset ticks all of the important checkboxes of a gaming device suited for competitive gaming and we can recommend them for this purpose. That is why we decided to award them with our “Great for games” recognition.